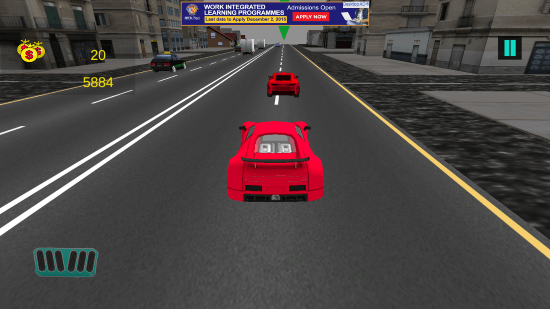 Gangster City Racing 3D is a free racing game for Windows 8 and 8.1 computers. 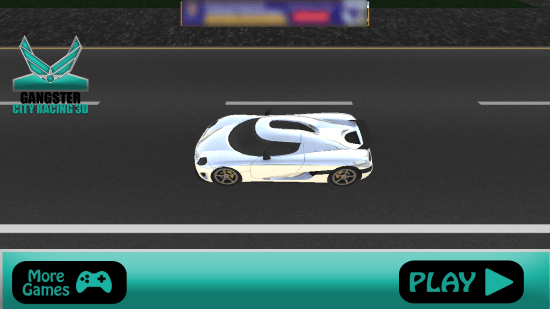 Published by Union Apps, this is a thrilling game to meet up your car racing needs. 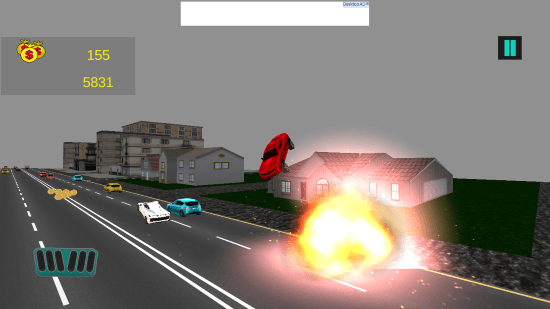 You will be playing this racing game as a Top City Gangster, chasing off your enemies, and blowing their cars up. Yes, you get to smash and take down your enemy’s car. You will be a part of high speed chases, crashing the goon’s cars, and collecting bounty. What makes this racing game for Windows 8 more exciting is the traffic. The road is filled with traffic, and you have to chase your enemy down in the busy downtown streets. This is a portable racing game for Windows 8, with a size of just 36 MB. To install this game, search for it on the Windows App store in the Search Bar. You can also follow the Download link at the end of this article. Even with the simplest gameplay, this is an exhilarating gracing game for Windows 8. Begin playing this game with selecting one of the sports car that you own. There are 3 cars in your garage, select one and go for a hunt of your enemies. After you have selected your drive, begin the chase. Navigate the car through the busy streets of your city. 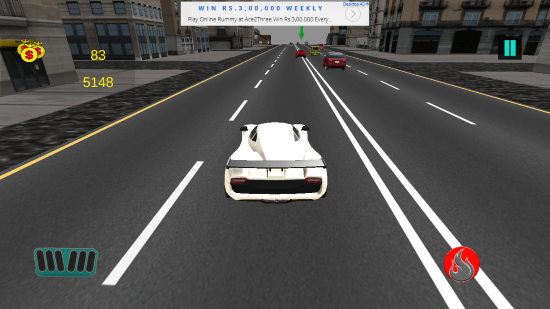 While you ride your car, you will get various coins and bonuses on the way. Collect them to make a high score. Keep cruising until you spot your enemy. When you spot an enemy’s car, a green pointer floats on top of it. Chase down your enemy and proceed to take his car down. Be careful as the enemy will try to escape. Hit your enemy as hard as you can to blow his car up. You can see your enemy’s car getting blown into pieces. Now, this is not the end. Once you take down the car, move forward to bust another car. The more you play, the more you score. 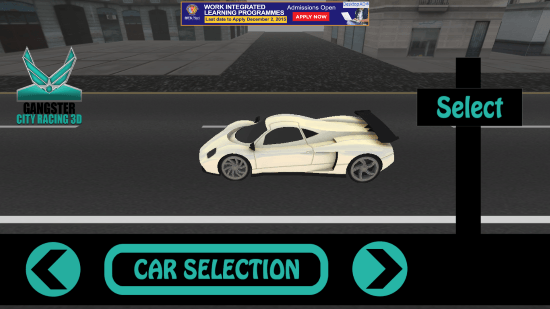 This racing game for Windows 8 is an infinite racing game, where you can score as much as you can. This racing game for Windows 8 is one of the best racing games with cash and burn effects. The visual effect is not so realistic, but it is fine. The controls are quite responsive, and you will love playing this game. 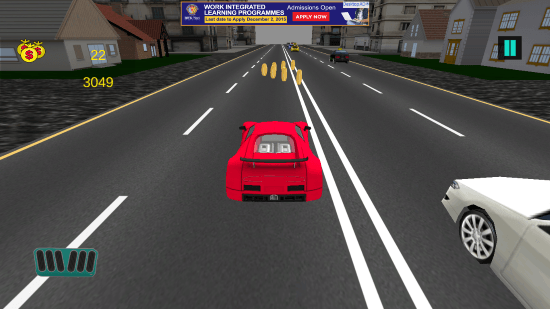 Download Gangster City Racing 3D now for you Windows 8 and 8.1 computers.